When it comes to menopause and breast pain, which around 70% of women report, there are some things you can do to help ease the discomfort. Did you know heart palpitations and menopause can be connected? Fluctuating hormones can cause your heart to beat very fast or irregularly. During perimenopause, period pain can worsen. Consider these tips for coping with menopause and cramps and easing the pain. Have you been finding stray hairs in new and unusual places on your face? Read these ideas for managing menopause facial hair. Unfortunately, menopause and anger go together like cheese and crackers. Afra shares her tips for getting control of your menopause-related rage. Menopause cold flashes are somewhat less common than hot flashes, but can strike just as suddenly. Afra shares her thoughts on coping with the chills. Menopause and muscle pain are often connected, caused by plummeting estrogen levels and increasing cortisol levels. Consider these tips for easing the pain. 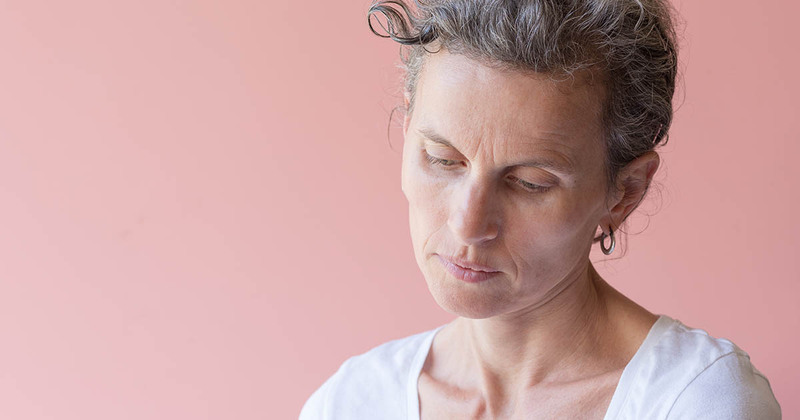 Many women discover new or worsening allergies as they move through perimenopause, and fluctuating hormones are largely to blame for this unwelcome change.